Designed for web hosting and server automation, the award-winning Plesk® Panel provides an easy-to-use interface, profitable access to applications and a completely integrated provisioning, billing and content management system for your business. With single-click access to hundreds of applications, an integrated site-building tool and fully automated bulling, Plesk® Panel enables your business to introduce new services and extend existing services quickly and conveniently. Plesk® Panel offers granular control, important functionality such as server health monitoring tools, convenient upgrade and migration tools and control of user experiences with role-based access to functionality. Client/Reseller - Second tier login account where the users are given domain creation rights. Clients can administer to groups of domains using a single login. Domain Owner - These are individual domain owner accounts with predetermined permission sets and interface for single domain administration. Mail User - This is the individual mail account which allows the user to log in to their own private interface and manage passwords, spam filters, anti-virus settings and much more. Plesk® Panel has an intuitive and attractive interface which is now task oriented and fully customizable with the Plesk® Panel Desktop feature. Plesk® Panel comes with many additional skins and even gives users the ability to design custom skins and manage them in the browser-based interface. Plesk® Panel has been specifically designed to be the most stable and secure control panel available. Plesk® Panel has been proven under fire managing 5 million plus domains globally and can support thousands of accounts per server to maximize profitability. Plesk® Panel contains new security measures, existing security features have been improved. The software's redesigned subsystem improves overall system security. Plesk® Panel for UNIX now has many features, skins, application packs, language packs and documentation. Operating systems supported are SuSE, Fedora Core 5, CentOS, and Ubuntu. 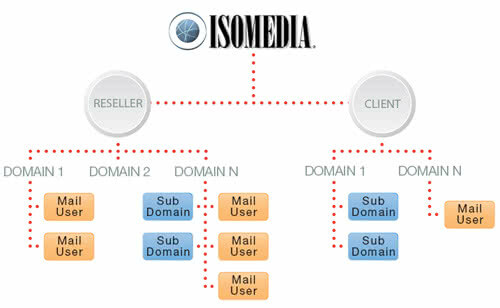 Call 1-866-838-4389 and an ISOMEDIA Sales Representative will assist you in signing up for the right VPS package today.